I had so much fun trying to think of what settings I'd like to see more of for this week's prompt. I couldn't think of much at first, but then the ideas just kept coming. I'm really interested to see what everyone else chose this week! 1. Stables - I rode horses for years, and finally stopped when I just didn't have the time. However, I'll love horses (and books that are about them or include them) until the day I die. So, I want to see some books with stables. I was all about the Saddle Club books growing up - what's a girl got to do to get a grown-up version? I'm not looking for cowboys in romance novels. I want some legit stables. 2. Australia - Every single book I've read by an Australian author has been fantastic, so I just want more of the same. The books don't have to be in the Outback, I just liked that picture. Give me more Aussies, and I'll be one happy reader! 3. College - This is the Arch at UGA (Go Dawgs! ), but I don't really care what college is the setting... just give me some books with girls in college! And no sexed up YA or crazy dramatic issues books. I want normal college experiences - characters I can identify with and issues that seem real. 4. Hogwarts - You asked what setting I want more of. Well, I want more Hogwarts. A girl can dream, right? 5. Revolutionary War - I don't really care if Washington is involved, I just want to read some more books set during the Revolutionary War. I can get my fix of Civil War and World War II fiction, but my shelves are sorely lacking the American Revolution. Where can I find those books?! 6. Ballrooms - Do you know what happens in ballrooms? Romantic tension. It like oozes in ballroom scenes. You're touching and talking and then falling in love. I want more of that. 7. Oregon Trail - Dysentery, drownings, buffalo stampedes... personally, I think the Oregon Trail is just begging to be written about. Caravans of people leaving behind the familiar for a new adventure... just add in some mountain passes and river forgings and I'm a happy camper. 8. District 12 - Oh, sorry, I just want more Peeta. 9. Safari - Having been to South Africa, I'd love to see more books set in that country. Even better, I really want some safari goodness, too. Zebras, elephants and giraffes are like three of the best animals God ever created so I'd like them to be a little more represented in books. I'm just saying. 10. 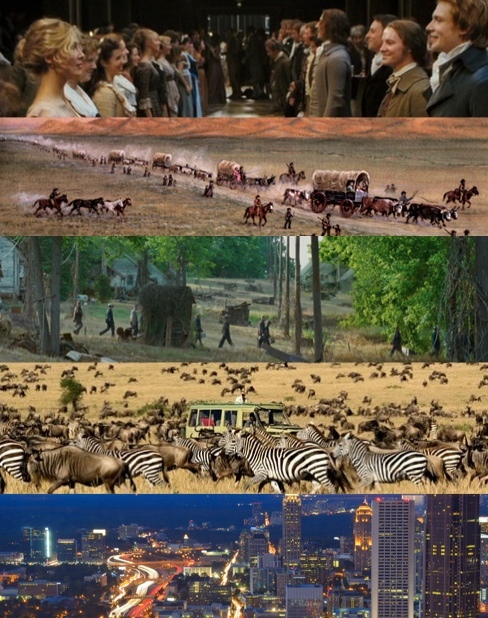 Atlanta - Yes, I want more books set in Atlanta. I want to read a book and think, "Oh, I love that restaurant!" Or, "I love visiting that place!" Really, I just want Georgia to be on everyone's minds. Can we get some more literary love for the Peach State? I mean, hello, we (book) birthed Scarlett O'Hara. Haha yeah for the ballroom love! The moment I thought of it, I knew I had to include it on the list because it was just too good not to. Glad you like the title :) I have fun trying to think of them haha! 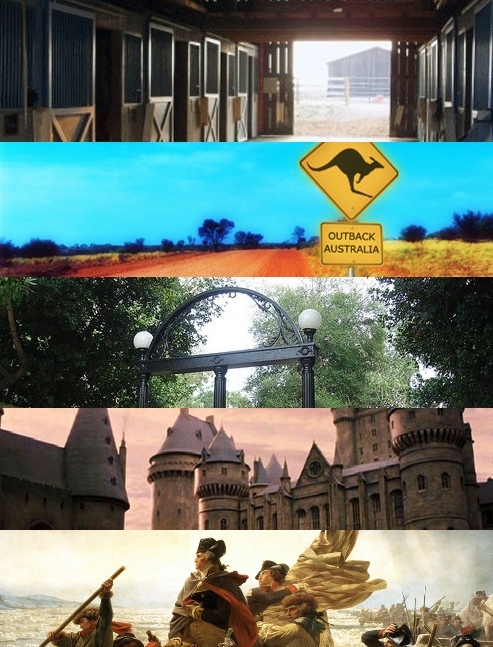 And yay more Hogwarts, safaris and Australia! Hahahaha YESSSSS! 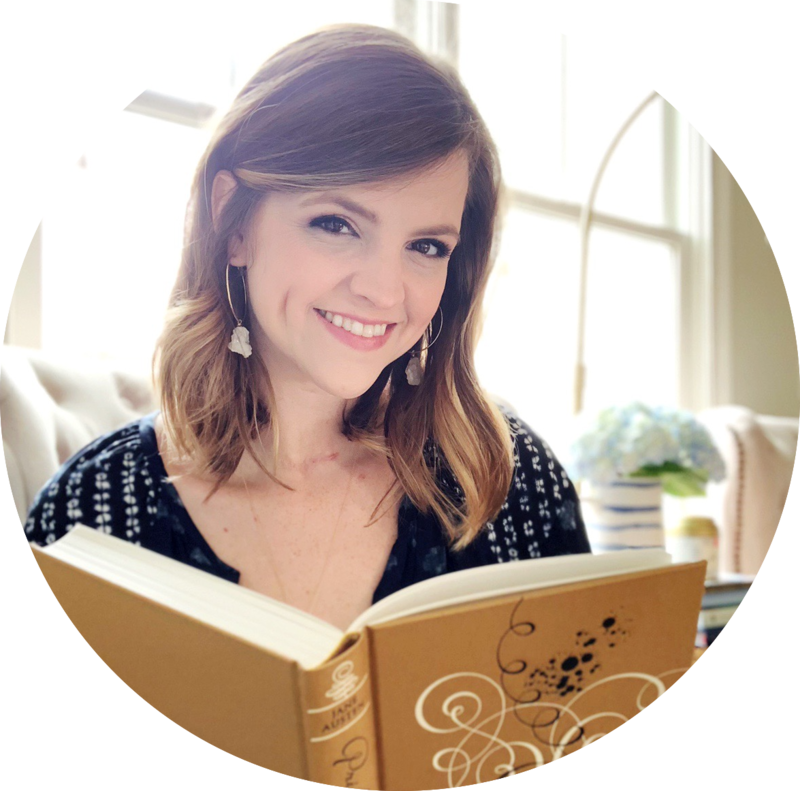 I was all about the Saddle Club books - and I love that you were too! I was that girl who wanted to write every paper or do every presentation about something horse-related for years. I stopped riding around high school, and it probably worked out well since that might have been a little too nerdy haha! Isn't it a great country to read about? I SO hope I get to visit one day! It's on my "places I want to go before I die" list! Ha. I loved your number 8. And your beautiful pictures. Haha thanks :) Glad you enjoyed #8! I had a total flashback to when my sisters, my best friend, and I used to spend HOURS playing Oregon Trail on the computer. You are totally right - I need it in book format please! I used to read the Dear America books that were set up as diaries of girls during important periods of history, and "Across the Wide and Lonesome Prairie: The Oregon Trail Diary of Hattie Campbell, 1847" was set on the Oregon Trail! Great post! I LOVED THE DEAR AMERICA BOOKS!!! I totally have Hattie Campbell's on my bookshelf right this second. I kept those books safe and sound and am SO GLAD I didn't get rid of them when I got rid of some childhood books. I hope I have a girl one day who will want to read them! I don't know where mine went! I bet they're in my mom's attic...I've got to dig these out. 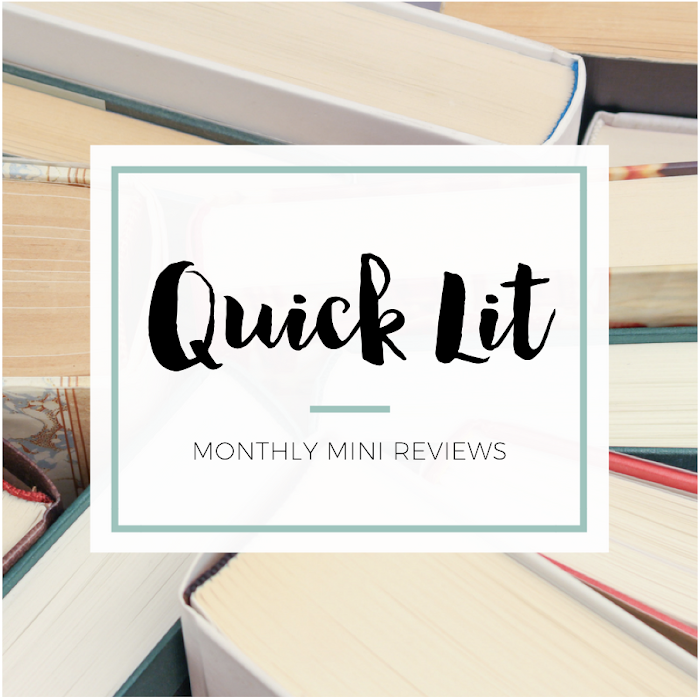 I've been thinking I should add a flashback feature to my blog and highlight books like the Dear America series, the Saddle Club, which I also used to read, The Magic Attic, The Babysitters Club (Estelle at Rather Be Reading did a great post on this series a little while ago), etc. I think it would be so fun to walk down memory lane and put recommendations on the radar of readers new to the series. I think a flashback feature would be really cool! That's a great idea, Kristin! I also think it'd be cool to reread some childhood favorites and see how you feel about them today. I love some favorites just as much when I revisit them, and then I find others kind of disappointing. I think it's really interesting how your perspective changes your feelings about a book! I was obsessed with The Saddle Club growing up because I wanted to ride horses so bad! I never really got the chance to learn, but I totally agree that there should definitely be more books involving stables. Also, ballrooms! Love the fancy frocks and big events that always happen in 'em. I absolutely love your list though, seriously. So many good ones! Haha yay for another Saddle Club win! And ballrooms.... sigh. Need some dancing in fancy dresses! More Hogwarts and District 12 would be amazing! Sometimes I wish that there were spinoff series for both Harry Potter and the Hunger Games, but then I think again and realize that nothing can be better than the originals! Haha yeah I always want a spin-off too and then I, like you, remind myself that it would never compare to the original! I am also all for more ballrooms and stables!! Aussie books foreverrrrr! That was probably my best bookish discovery last year, to be honest. I had NO idea how awesome Aussie authors were! Ooo. yeah, I love ballroom scenes in books. All that romantic attention. Great list! And of course, a big YEAH to more Ballrooms & Oregon Tail settings. They're on my TTT list too, though in a slightly altered form. I had Revolutionary War on my list too!!! Felicity was my favorite American Girl, and this was a super exciting time in history... so why aren't there more books about it? And I had the Wild West, Oregon Trail would be included. Another exciting period that no one writes about. And clearly from my experiences playing the Oregon Trail computer game... There is ALL KINDS OF EXCITEMENT possible. And hot cowboys? YES. YESSSS TO FELICITY! She was also my first and favorite American Girl! I think I got a look-alike one later on, but my love for her never compared to Felicity. She loved to read, ride horses and was feisty. Such an exciting heroine! And yes, why aren't there more Revolutionary War books?! I seriously don't get it at all. Totally with you on the Wild West! I specifically named the Oregon Trail, but I so could have included the whole Wild West. I don't understand why there aren't more books set during that time. Gold rush, mining camps, moving West, building railroads... There are so many opportunities there! A SEVEN BOOK SERIES ABOUT THE MARAUDERS....... STOP! Yes. Yes. Yes. I WANT THAT! Why did you ever put that wish in my head?! Yay for another Peeta lover! I heart him so much!